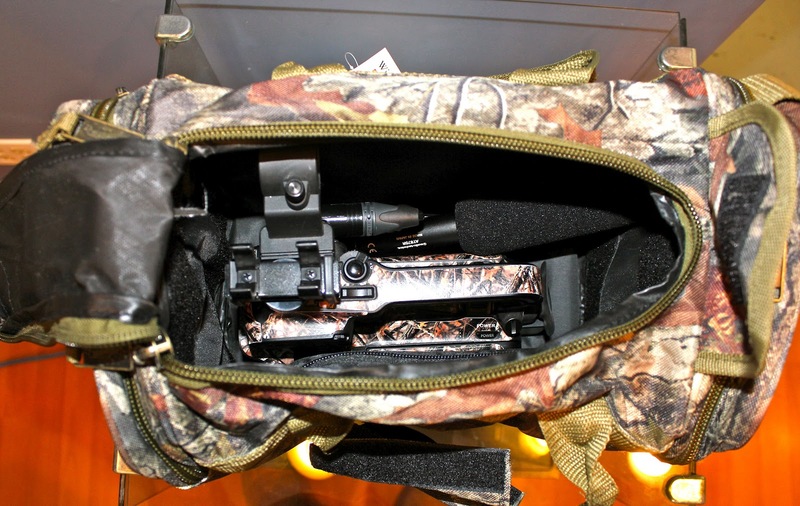 The over the shoulder camouflaged cameraman bag for smaller camcorders allows you to carry your video camera and accessories for easy access. 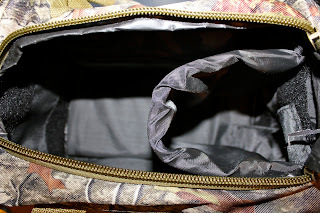 Picture of the removable padded divider that has velcro strips on each side. 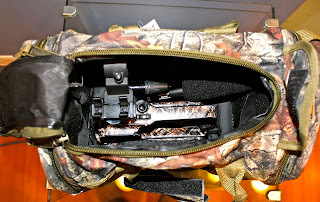 To fit the Canon XA10 inside the bag proper ally, remove the shotgun microphone and other accessories. 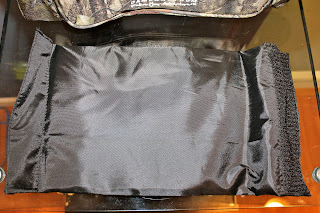 This is also shown without the padded divider. There is still a lot of room to add other accessories. 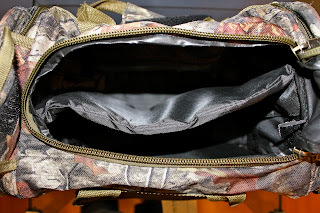 Item Reviewed: Inside the Camouflage Camera Bag For Small Cameras 9 out of 10 based on 10 ratings. 9 user reviews.